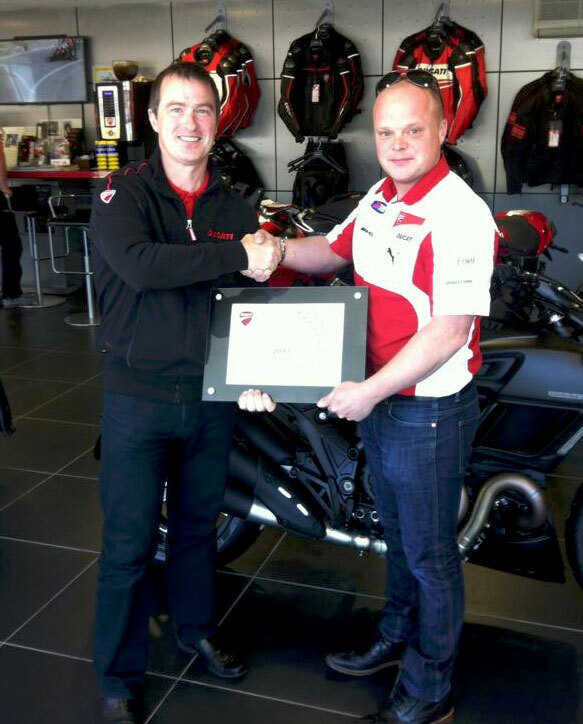 Ducati Manchester are happy to announce that we have received another award from Ducati UK - 'Most Sales 2016'. 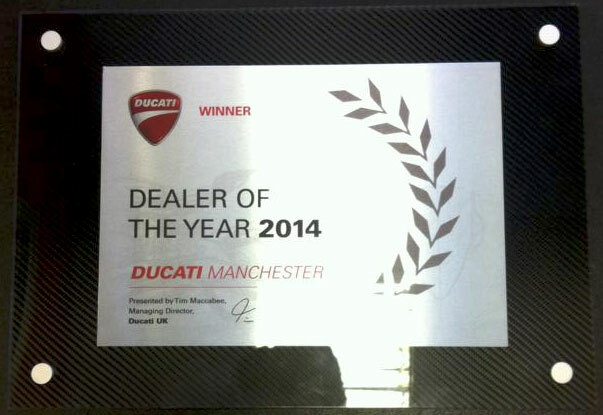 Ducati Manchester has been awarded numerous awards over the years, including Top Sales 2015, MCN Ducati Dealer of the Year 2015, and the prestigious Ducati UK dealer of the year award 2014. 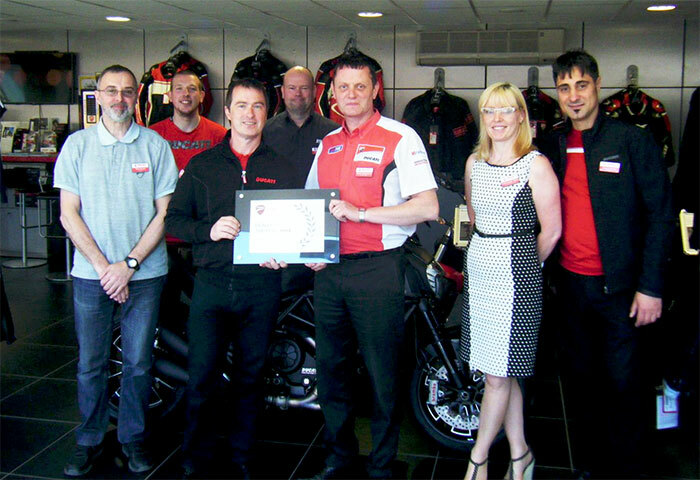 These awards are given by Ducati UK and recognises our hard work and dedication to the brand. Since becoming the UK's first Ducati Store in 2000 we have worked hard to become the premier dealer in the UK. This latest award reflects our enthusiasm, professionalism and passion for the brand. Thanks to all our friends past and present for making Manchester the only place for all things Ducati!